Every parent and teacher struggles with child discipline from time to time. They want to use authority in their approach, but not necessarily be labeled as authoritarian. The keys to the success of using authority without being punitive are in using positive communications, empowering by offering choices, and by prompting reflection. These practices instill the mindset that the objective is to raise responsibility, rather than to punish. I talk about each of these in detail in my books Discipline Without Stress and Parenting Without Stress. When enforcing rules, imposing punishments, or doling out rewards, be aware that these approaches aim at obedience, rather than promoting responsibility—and that obedience does not create desire. The most effective approach to have young people do what adults want them to do is to tap into their emotions. Following rules requires thinking—not feelings. Yet feelings and emotions drives the majority of our decisions. I’ve long-asserted that rewards are counter-intuitive. 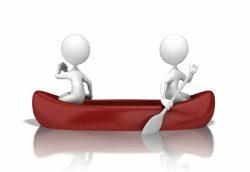 A friend told me the following story that illustrates how rewards also sabotage teamwork. My friend was chatting with a man who coaches sports teams of 8 and 9-year-olds. He mentioned that he had a lot of difficulty this year in getting the kids to work together as a team. My friend, an experienced primary teacher, started to offer some suggestions that she had found successful for developing an atmosphere of teamwork in her classroom. But the gentleman quickly stopped her. Many teachers ask me for behavior management tips. They complain about “unpredictable” or “problematic” students and want to know to minimize these challenges. I’m sure we all have experienced “unpredictable” or “problematic” student behaviors in our classes. The key question is how can we respond to them in positive ways that are helpful to the student exhibiting the behavior, to the rest of our students, and to our own sanity? We all want to praise children for doing good things. But not all praise is created equal. The following points address how to effectively praise children. 1. If you would not use the same praise to an adult, resist using it with a young person. 2. Eliminate starting with, “I’m so pleased that….” The inference is that the youngster’s motivation is to please YOU. Here is an alternative to praise: acknowledgments. They are more effective than praise and accomplish what you want without praise’s disadvantage. We’ve all seen or interacted with a troubled teen. They’re rebellious, defiant, and even rude in some cases. They certainly challenge parents and teachers who want what’s best for them yet are tired of dealing with them. A parent wrote to me about her 15-year-old daughter. She said that her troubled teen was determined to boycott any parenting techniques the parents tried to employ, including suggestions from the Parenting Without Stress book. Should You Bribe Students for Good Behavior? If a police officer pulls you over for speeding, should you bribe the officer to not give you a ticket? Of course not! If a co-worker misses a deadline on a project, should you bribe them to get their work done on time? No! If a student in your class doesn’t do their homework, should you bribe them to complete it? Never! 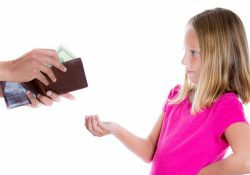 If your child misbehaves, should you bribe them for good behavior? No way! No matter what subject you teach, you can practice positive discipline for inattentive students. Inattentive students are certainly a challenge, but they need not derail your lesson plan. After all, at some point all students will ignore a lesson going on in class. Perhaps they are preoccupied with a personal challenge. Maybe they are tired. Or perhaps the information simply doesn’t interest them. Losing a student’s attention once in a while is normal. However, sometimes certain students ignore the lesson every day. Rather than listen to the teacher, they routinely do other things, such as homework for another class. This is when positive discipline is needed. When it comes to child discipline, are you still using traditional approaches, or have you realized that tradition doesn’t always work? Tradition is the means by which many people solve problems, cope with life, and transmit values. Realize that tradition extends everywhere: how we eat, where and when we sleep, what we wear, what we say to ourselves and others, etc. Tradition is the way many people make decisions and solve problems. However, the decisions only work if we inherit the same problems our ancestors did. Most adults try to control a defiant child. But control rarely works. 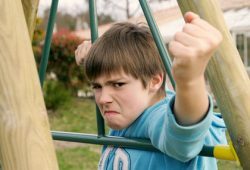 If you’ve tried to control a defiant child, regardless of their age, you’ve likely been met with counterwill. “Counterwill” is the name for the natural human resistance to being controlled. Although adults experience this phenomenon, we seem to be surprised when we encounter it in children. Counterwill is the most misunderstood and misinterpreted dynamic in adult-child relations. Based on what people have read about the Discipline Without Stress methodology, some may conclude that I am against all punishments. This is a wrong assumption. I have no problem with ADULTS using punishments for justice, fairness, or safety. Those who use the Discipline Without Stress methodology quickly realize that the approach has far reaching effects beyond the classroom. Presently, our whole society is plagued with values confusion, resulting in inappropriate behaviors and decisions in every aspect of life: work, politics, home, etc. 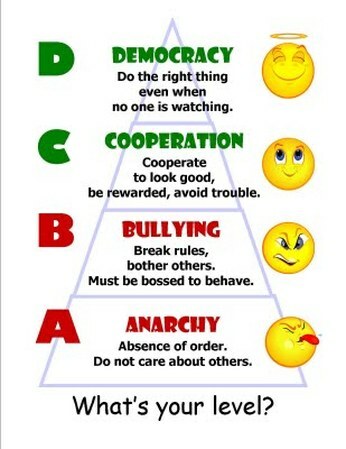 In fact, undesirable behaviors (Levels A and B) are prevalent and rampant in our society. The news provides us with endless examples of this. It seems apparent that our whole society is now in need of “raising responsibility” and of becoming more conscious of choices made so that our society as a whole does not feel the negative effects. One common early mistake teachers make is to think that knowledge of the levels, ABCD, is the “magic key” to Discipline Without Stress—that once students know the levels and can identify their level at any point in time, that all the teacher has to do is ask, “At what level is this behavior?” and the child will magically move to level C or D. If only it were that easy! When it comes to discipline, many people think rewards are effective for changing behavior. Although the intentions are admirable, giving rewards for expected appropriate behavior does as much harm as good. Rewards are simply not an effective discipline approach. When students are following procedures, they are at an acceptable level of behavior: Level C. At this point discipline isn’t an issue, and you don’t need rules. The procedures and expectations accomplish what rules are supposed to do, and your need for discipline help diminishes. Even better, the procedures and expectations are better than discipline because they spell out clearly and exactly what you want students to do. Level D is always available as a choice. You might refer to that option a lot, but always word it as an OPTION, which is the secret to making it even more attractive. Why is classroom management (procedures) so important for reducing discipline issues? 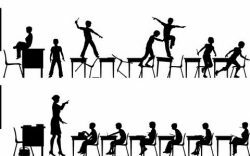 1) If you don’t have good classroom management, you will have (to a greater or lesser degree) chaos. You can’t teach someone to be SELF-disciplined in the midst of chaos. Simple as that! 2) The Discipline Without Stress approach itself is actually based on handling most discipline problems by helping the undisciplined students with procedures to keep themselves in control. It’s hard to help someone else create effective procedures if you aren’t doing it well yourself. For many people, discipline is tough. And often, people seek out discipline help because they feel helpless in a situation—as if they have no choice in the discipline situation. (The youngster did this, which means I must react this way.) But the fact is that you always have a choice as to how you respond when a youngster makes a mistake or does something wrong. Choice makes discipline much easier.